Dr. Brett Jungman is a graduate of Texas Tech University with both a Bachelor and Master of Science Degree. He has an ongoing relationship with the athletic program at Texas Tech University and has taken care of the Texas Tech Football team since 2004. He also works with the baseball, soccer, basketball, tennis, volleyball and golf teams. 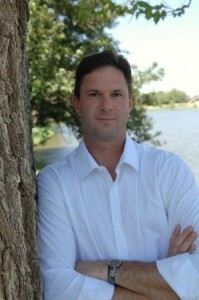 Following Texas Tech, he received his Doctor of Chiropractic degree from Parker College of Chiropractic in 2004. Dr. Jungman provides chiropractic treatment for a broad variety of patients including athletes, patients recovering from injuries, patients with chronic pain, babies and elders. Introduced to chiropractic care by his grandparents, Dr. Jungman’s knowledge of the great benefits of natural health care has been life-long. His passion lies in knowing he is making a positive change in his patients’ lives and overall health. Dr. Jungman is a member of the Parker Alumni Association, the Lubbock Chamber of Commerce and Texas Chiropractic Association. He has held the offices of vice president of the Slaton Chamber of Commerce, president of the Slaton Lions Club and board member of the Lubbock Business Association.